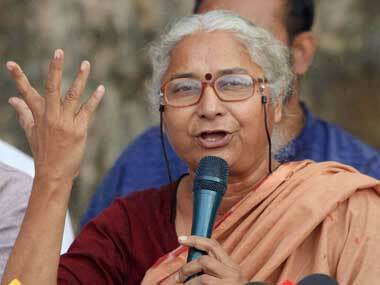 New Delhi: A Delhi court today framed defamation charges against Narmada Bachao Andolan (NBA) activist Medha Patkar in a case lodged against her by Khadi Village and Industries Commission (KVIC) Chairman VK Saxena. Metropolitan Magistrate Nishant Garg framed the notice on charges in a complaint lodged by Saxena against Patkar for allegedly defaming him on a TV news channel in 2006. “Prima facie case is made out against the accused for the offences,” the magistrate said. The court framed the notice against the activist under sections 499/500 (defamation) of the Indian Penal code (IPC) and fixed the matter for recording of Saxena's evidence on 28 August. Patkar and Saxena have been embroiled in a legal battle since 2000 after she filed a suit against him for publishing advertisements against her and the Narmada Bachao Andolan (NBA). Saxena was then the chief of an Ahmedabad-based NGO, National Council for Civil Liberties. Saxena, in turn, had filed two cases against her for making derogatory remarks against him on a TV channel and issuing a defamatory press statement against him.